Inflatable Cat & Pumpkins, perfect for the Halloween season. Manufactured from tough nylon material and is self-inflating with an internal fan powered from a 12V mains adaptor. Internal LEDs add illumination for a soft glow effect. The base is weighted to keep it secure and upright and ground spikes are included if additional fixing is required. 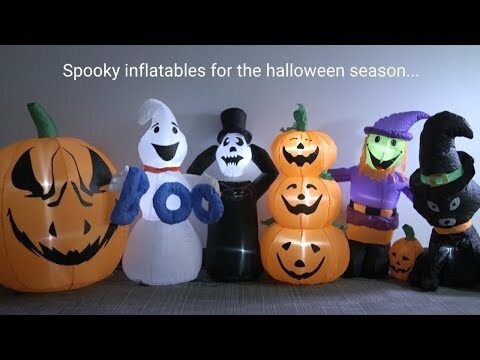 Packs away to a compact size for easy storage, yet when inflated, it creates an impressive display for Halloween parties and home decoration.